Pfungstädter. The beer makers: data privacy. The use of the contact details published as part of this legal notice or similar information, such as postal addresses, telephone and fax numbers, and email addresses, by third parties in order to send information not explicitly requested is not permitted. We explicitly reserve the right to take legal measures against the senders of so-called spam mail in the event of violations of this ban. If you contact us by telephone, by post, via email or via our webpages, we will process your personal data for the purpose of responding to your queries, issuing information and, if applicable, sending information material upon request. This concerns in particular your first and last names, your contact details such as telephone numbers, email and fax, and the name of the company/institution or organisation for which you work, if applicable. The legal basis for the data processing is Art. 6(1)(f) GDPR. The data will be handled confidentially and not passed on to third parties. The legitimate interests of Pfungstädter Brauerei Hildebrand GmbH & Co. KG in the processing of your personal data are constituted by the need to provide you with the information requested by you. Your data will be erased after the expiry of the statutory retention periods and any resulting claims. If your order items in our online shop, we will process your personal data. This concerns your first and last names, any titles and academic qualifications, your address, your contact details such as your email address, telephone/fax number, your date of birth and your bank details, as well as your VAT and tax numbers, if applicable. The processing takes place for the purposes of clearly identifying the contracting partner and initiating, performing, managing and handling contracts, creating bills/credit notes, managing and collecting accounts receivable, and complying with statutory and data protection regulations. For communication, we will also process the names and contact details of the contact persons of the contracting partner (Art. 6[b] and [c] GDPR). For the handling of orders in the Pfungstädter online shop, we use processors. Your data will be handled confidentially and will not passed be on to third parties. We will store the data for the duration of the contractual relationship with the customer. If the data is no longer required for the purposes of the contractual relationship, we will erase it after the expiry of the statutory retention periods, any resulting claims, and relevant statutory retention obligations. The organiser of the competition is PFUNGSTÄDTER BRAUEREI Hildebrand GmbH & Co. KG, Eberstädter Str. 89, D-64319 Pfungstadt. 2.1. People of full age are entitled to participate. If participation by minors is not explicitly excluded, they require the consent of their parents/legal guardians to participate. For the winning of non-cash prizes (e.g. alcoholic drinks) that require a statutory legal age, the organiser must be presented with proof of age. 2.2. Participation is carried out by clicking on the “Like” button and commenting on the respective competition post before the participation deadline. 3.1. Employees of PFUNGSTÄDTER BRAUEREI Hildebrand GmbH & Co. KG, Eberstädter Str. 89, D-64319 Pfungstadt and its affiliated companies within the meaning of § 15 AktG (Stock Corporation Act), and their respective relatives, are excluded from participating. 3.2. In the event of a violation of these participation conditions, the organiser reserves the right to exclude persons from the competition. 3.3. Persons who make use of unauthorised resources, make false statements or otherwise gain advantages by manipulation are also excluded. In these cases, profits may also be retrospectively revoked and reclaimed, if applicable. 4.1. The winner will be determined amongst all participants in a lottery (principle of randomness). The winner will be informed via response comment to the respective previously entered user comment, and asked to contact Pfungstädter by means of a personal message. His/her name may be published at www.pfungstaedter.de and/or facebook.com/pfungstaedter. The winner explicitly declares his/her agreement to this form of publication. 4.2. If a winner does not establish contact within 48 hours after the sending of the win notification, the claim to the winnings will cease to exist, and a new winner will be picked by lottery. The claim to the winnings will also cease to exist if the transfer of the winnings cannot take place within 48 hours after the first notification about the win, for reasons for which the winner is responsible. 4.3. The transfer of the winnings will take place by means of shipment from the registered office of PFUNGSTÄDTER BRAUEREI Hildebrand GmbH & Co. KG, Eberstädter Str. 89, D-64319 Pfungstadt (place of performance) or by third parties assigned by Pfungstädter. The details will be explained in the personal notification of the win. 4.4. Cash payments or exchange of the winnings are excluded. 5.5. The claim to the winnings cannot be transferred. 6.6. Complaints relating to the execution of the competition must be submitted in writing to PFUNGSTÄDTER BRAUEREI Hildebrand GmbH & Co. KG, Eberstädter Str. 89, D-64319 Pfungstadt, stating the competition and within 14 days after the reason becomes known. Complaints submitted via telephone, or delayed complaints, will not be processed. The organiser reserves the right to abandon or end the competition at any time, without prior announcement and without stating reasons. The organiser will make use of this option in particular if, for technical reasons (e.g. computer system error or manipulation) or for legal reasons, the proper execution of the game cannot be guaranteed. The organiser observes the statutory data protection provisions. The general data protection regulations of the organiser apply; they can be seen at http://pfungstaedter-shop.de/w.... Transmitted information will only be used to determine the winnings. 1. Upon the handing-over of the winnings, PFUNGSTÄDTER BRAUEREI Hildebrand GmbH & Co. KG will be released from all obligations, unless an earlier point in time is specified in these rules. 2. PFUNGSTÄDTER BRAUEREI Hildebrand GmbH & Co. KG is not liable for loss which has been caused due to intent, gross negligence or the violation of cardinal duties. This also applies for actions of vicarious agents, but not for damage due to loss of life, physical injury and/or damage to health. The above liability restriction applies in particular for loss caused by computer system errors, technical disruptions, virus attacks or data loss. 1. The competition is in no way linked to Facebook and is in no way sponsored, supported or organised by Facebook. PFUNGSTÄDTER BRAUEREI Hildebrand GmbH & Co. KG releases Facebook fully from claims of participants. 2. Legal recourse is excluded. 3. The law of the Federal Republic of Germany applies exclusively. 4. Should any of these provisions be or become invalid, the validity of the remaining terms and conditions of use will hereby remain unaffected. This website uses Google Analytics, a web analysis service of Google Inc. (“Google”). Google Analytics uses so-called “cookies”, which are text files that are stored on your computer and that enable an analysis of your use of the website. The information generated by the cookie about your use of this website (including your IP address) will be transferred to a Google server in the USA, where it will be stored. Google will use this information to analyse your use of the website, compile reports about the website activities for the website operator, and provide it with other services related to the use of the website and the use of the internet. Google may also pass on this information to third parties, if this is required by law or if third parties process this data on behalf of Google. In no case will Google link your IP address with other Google data. You can prevent the installation of cookies by setting your browser software accordingly; however, we would like to point out that in this case, you may not be able to use all functions of this website to their full extent. By using this website, you declare your agreement with the processing of the data collected about you by Google in the manner previously described and for the purpose previously mentioned. You can object to the data collection and storage at any time, with future effect. In light of the discussion about the use of analysis tools with complete IP addresses, we would like to point out that this website uses Google Analytics with the extension “_anonymizeIp()”, and IP addresses are therefore only processed in a shortened form, in order to exclude direct reference to persons. 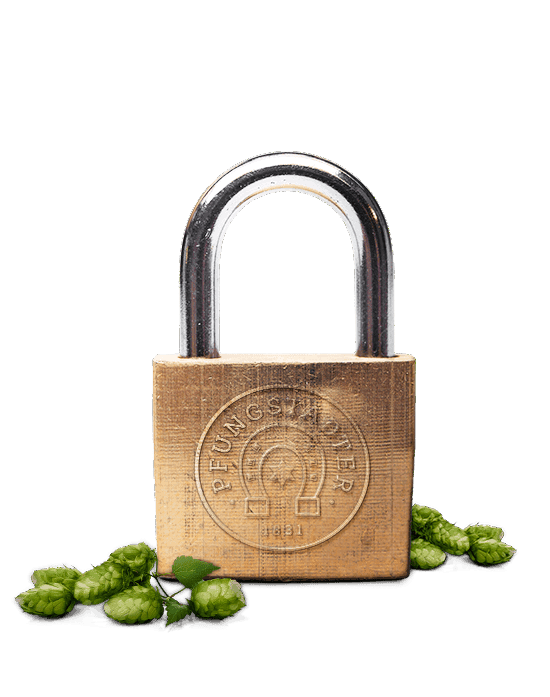 Pfungstädter Brauerei Hildebrand GmbH & Co. KG uses technical and organisational security measures in order to protect the personal data provided to us against accidental or intentional manipulation, loss, destruction and unauthorised access. Our security measures are continuously improved and adjusted in accordance with the latest technology. We would like to point out that the transfer of data via the internet (e.g. when communicating via email) may involve security issues. Complete, flawless protection of personal data against access by third parties is not possible. You have the right, in accordance with Article 15 GDPR, to request information about the personal information stored by us about you, at any time and free of charge. In accordance with Article 16 GDPR, you can also request the rectification of incorrect data and, in accordance with Article 17 GDPR, the erasure of personal data, unless the processing is necessary for the exercise of the right of freedom of expression and information, for compliance with a legal obligation or for the establishment, exercise or defence of legal claims. You also have the right, in accordance with Art. 18 GDPR, to request the blockage or restriction of processing of your personal data if the accuracy of the personal data is contested by you, if the processing is unlawful, but you oppose its erasure, and if we no longer need the personal data, but you require it for the establishment, exercise or defence of legal claims, or if you have objected to processing pursuant to Article 21 GDPR. If the requirements of Article 20 are satisfied, you have the right to receive the personal data you have provided to us, in a structured, commonly used and machine-readable format, or transmit it to another controller. Should you be of the opinion that the processing of your personal data by us is not compliant with the applicable law, you can ultimately lodge a complaint with a supervisory authority in accordance with Article 77 GDPR. On grounds relating to your particular situation, you have the right at any time to object to the processing of personal data concerning you which is based on Article 6(1)(f) GDPR (legitimate interest in the processing of personal data due to an overriding interest). If you object to the data processing, we will no longer process your personal data, unless we can demonstrate compelling reasons worth protecting, for the processing, which override your interests, rights and freedoms, or unless the processing is for the establishment, exercise or defence of legal claims. If you have given us permission to process your personal data for specific purposes (e.g. the sending of newsletters), the lawfulness of this processing is granted on the basis of permission. Permission can be revoked at any time. This also applies for the revocation of declarations of consent which you have issued to us in accordance with GDPR (before 25.05.2018). The withdrawal of the granted permission only applies for future data processing, with the result that any further data processing from this point in time will not take place. However, the lawfulness of the processing until withdrawal remains unaffected.